Archaeological parks serve as one of the most important and impressive cultural riches in Colombia. Every year, thousands flock to Colombia to explore the relics left behind by pre-Hispanic societies that once inhabited the landscape. Visitors can discover fascinating giant monoliths, cave paintings or even Colombia's lost city and see for themselves just a part of the magic of Colombia's history. 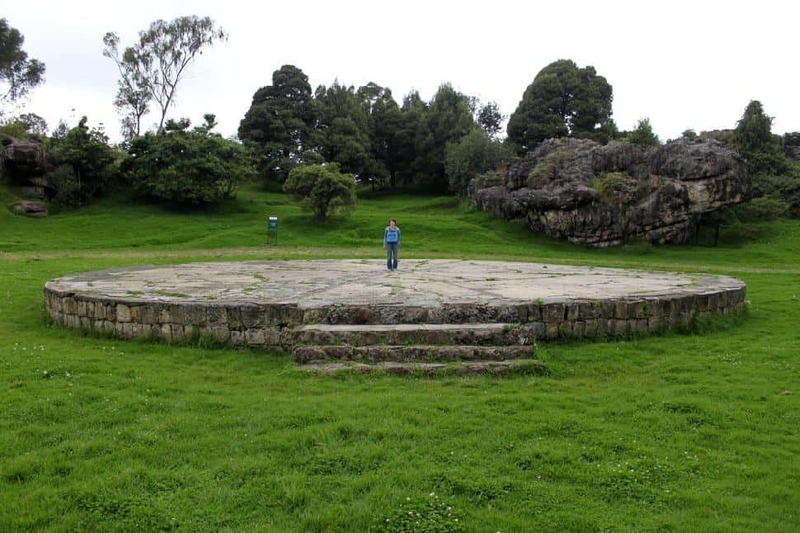 The Facatativa Archaeological Park sits 40 kilometers outside of Bogota. The park protects and preserves 29 hectares of rocky shelters that not only serve as marvelous scenery to be admired but host a number of rock paintings protected from the elements. On the unique metamorphic rocks, visitors can spend hours touring the more than 60 different murals spread throughout the park. The murals aren't just simple pictures, though. Archaeologists believe that the images are actually pictographs, a visual code used to express words and ideas although currently they have yet to connect them with any known linguistics or phonetics of a language. They are thought to be left by shamans of the Preceramic Period hunter-gather tribes, pre-dating much of the known history about Colombia. Visitors can take their turn at trying to decipher the pictographs themselves as many of them yet to have a solid story attached to them. Named a UNESCO World Heritage Site, the Tierradento Archaeological Park protects a massive span of mountains and vegetation, but it is famous for its abundance of stone statuary and underground graves. Visitors can tour the largest and deepest tombs in the Alto de Segovia region and marvel the high relief artwork that is plastered on the walls as well as tour the ceramic items, bead necklaces, and grinding stones left behind as offerings to the dead. 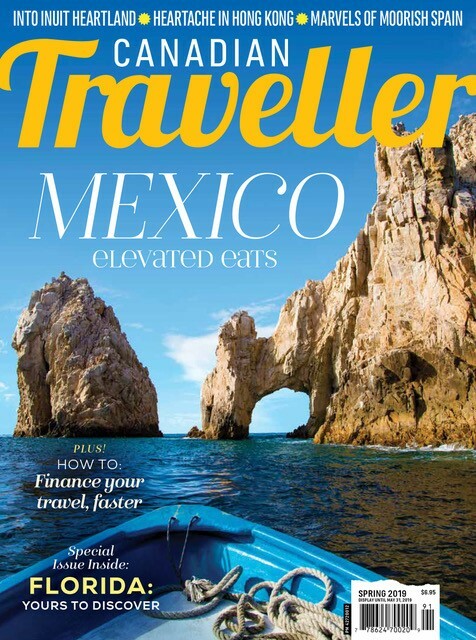 Elsewhere in Alto de San Andres and Alto del Duende, visitors can tour the number of hypogea that are all covered with geometrically designed murals. However, the biggest draw of the park is the El Tablon area that features eleven massive statues of human forms. Some of the statues imitate naked humans while other have various decorative adornments carved on. As visitors explore the statues, they'll notice them slowly getting taller until they reach the male and female statues that stand the tallest at 2 meters high. 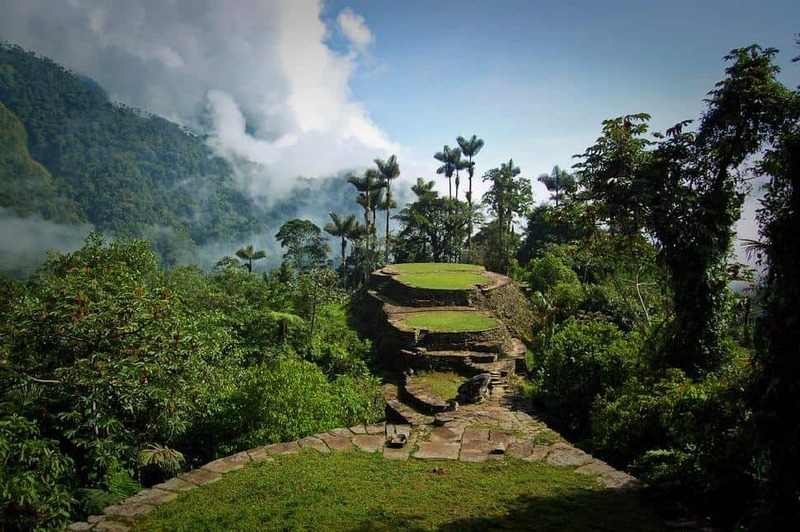 Ciudad Perdida is known as Colombia's lost city. 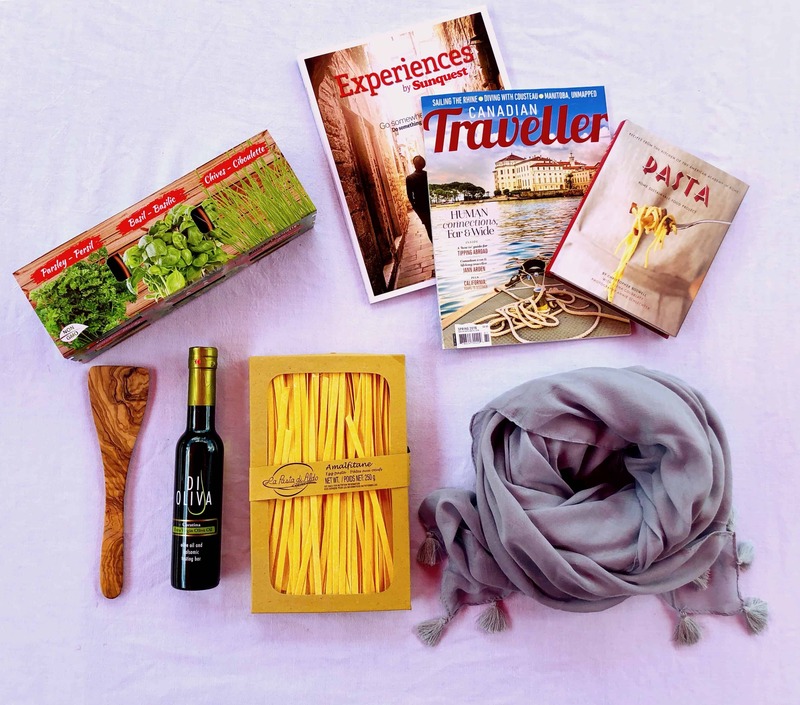 It sits nestled in the imposing seaside mountain range, the Sierra Nevada de Santa Marta, on the Caribbean Sea and the edge of the Buritaca River. To even get to the ruins, visitors have to traverse through lush forests full of exotic flora and fauna, hanging bridges, mountains and waterfalls. Amid the tall trees is the lost city that now lies in ruins. This magnificent city used to showcase the sophisticated integration of civilization and nature that belonged to the Tayrona empire. Ciudad Perdida was approximately built in the year 700 AD and was the urban center among 250 different native settlements. As visitors walk the intricate series of cobble stone paths, visitors see remnants of the city that was once comprised of more than 200 different terraces that were used for living, working and religious ceremonies among the trees. For those that enjoyed the statuary at Tierradentro, San Agustin is bigger and better. The archaeological park is highlighted by 500 imposing stones statues that are still standing proud after thousands of years. The statues serve as carved figures from the native San Agustin people in accordance to their mythology. Most of them were uses as funerary paraphernalia while others are thought to be related to the spiritual power of the dead and the supernatural world. Visitors can tour the four mesitas, or the man-made hills, that serve as burial mounds or wander the Bosque de las Estatuas (forest of statues) that serves as a garden of 39 statues amid the flora of the region. Among the most grandiose works of sculpture seen from the Agustinian culture here is the La Fuente de Lavapatas fountain. This complex maze of canals and pools is carved into the bedrock of a stream that represents creatures like iguanas, chameleons, snakes and lizards and was thought to be used as a sacred site for religious ceremonies. When Alto de los Idolos was first discovered, the archaeologist thought the eleven statues sitting on the ground were the bulk of it. However, as some informal diggers probed further, they found that the statues marked the entrance to an intricate series of tombs. Today, the Alto de los Idolos serves as one of the best preserved funerary complexes in Colombia and Agustinian cultures. 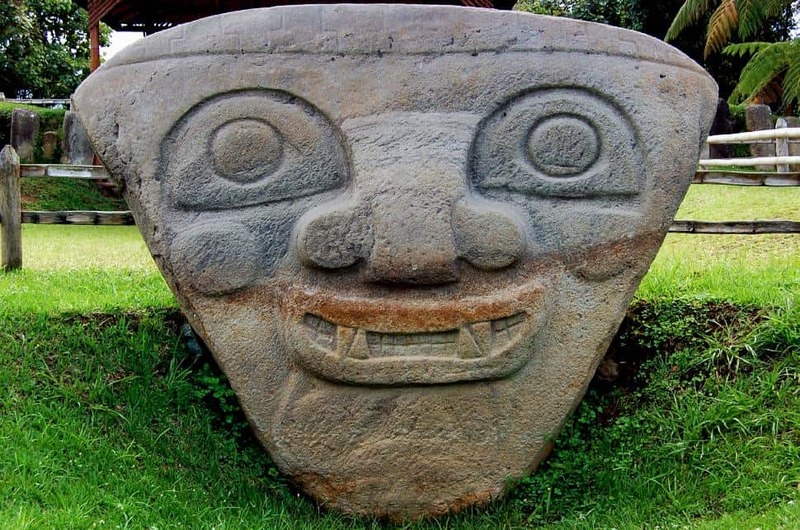 The statues themselves are different than the other found at San Agustin and Tierradentro as they are not mere humans but host anthropomorphic and zoomorphic characteristics. The tallest of the sculptures, measuring seven meters, marks the entrance to the main tomb that features detailed sarcophagi and ceremonial baths among the muraled walls. Have you visited any of these archeological sites? Let us know - tweet us or comment below!